Educated in Sainik School, Goalpara, Assam. Graduated from St. Stephen’s College, Delhi University. MA in History from Delhi University 1977. Passed the UPSC and selected into IAS in 1977. 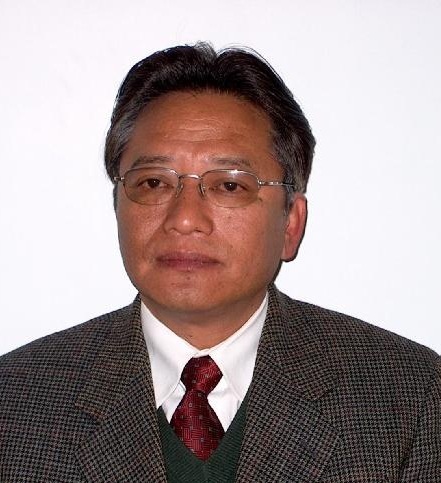 Served in the Government of Nagaland for 37 years and retired as Chief Secretary in 2014. Known as development administrator and has contributed substantially to the development process of Nagaland and the NE region by various development initiatives taken by him. As Development Commissioner during 2000-03 drafted the 10th Five Year Plan of Nagaland that gave a new direction to the Planning process of Nagaland paving the way for commercial scale production in Agriculture. Initiated the first Nagaland Human Development report of 2004 followed by the DHDR (District Human Development Reports) of all the districts of Nagaland. First among the States of India to do so. Co-authored the ‘Nagaland Communitisation Act’ with Shri R.S Pandey in formulating and putting the concept into place. As Development Commissioner in second tenure from 2008 to 2012 authored the 12th Five Year Plan that changed the planning perspective of Nagaland shifting to ‘Urbanisation’ and creation of linear cities along the foothills of Nagaland. Wrote the Nagaland Bamboo Policy and put into place the Nagaland Bamboo Resource Centre at Dimapur by converting a defunct Sugar Mill in 2004 when the National Bamboo policy had not been formulated in India. Initiated the Hornbill Festival of Nagaland that has become a global tourism event. Initiated and put into place the “North East Agri-Expo” at Dimapur which has become a Mega event in the North east for agricultural activities including the pivot for transfer of Agricultural technology to the farmers of NE India. Authored the Nagaland Policy for Organic cultivation. Initiated the Nagaland Bee Keeping and Honey Mission. Initiated the Nagaland Bio-Resource Mission. Initiated the Nagaland Human Development report of 2004 and further wrote the Chapter on the “Vision 2020” for Nagaland that still forms the core of perspective thinking in Nagaland. Was instrumental in restructuring the Referral hospital, Dimapur on PPP mode that was languishing for 15 years and paving the way for the formation of the CIHSR. This is regarded as one of the best examples of PPP initiatives in the region. Completed and put into place the Nagaland Administrative Institute that was languishing for 15 years. Initiated the Nagaland GIS (Geographic Information System) which is considered the leading GIS among the States of India and led to the establishment of the Nagaland Geospatial application Centre. Introduced the ‘Hydroger’ and Pico-hydro generators that runs in streams and provides electricity to remote households in the rural areas. Introduced the P3DM (Participatory Three Dimensional Modelling) for enchancing perspective Planning and Development in the villages. Instrumental in clearing the two revival packages of the Nagaland Paper Mill at Tuli. Initiated and Completed the Nagaland Mini Tool Room at Dimapur. Ramaswamy Aiyer Constitution of India review Committee on Natural Resources. Committee on Concerns of the North East under Chairmanship of Shri M.P Bezbaruah. MMSEA (Mainland Montaine South East Asia) at Sapa (Lao Cai) Vietnam in 2006 and presented paper on indigenous tribes of Nagaland. World Bamboo Conference at Bangkok. Attended the WUF (World Urban Forum) at Vancouver, Canada. Attended the ‘Apimondia’ or the World Bee keeping conference at Melbourne, Australia. ICIMOD conference at Shillong to present paper on upland farming in mountain areas. Presented paper on investment opportunities in the North East India at the Hankook University, Seoul at seminar organised by the Korean Institute for Economics and Policy. Conceptualised and organised the first Hornbill Festival of Nagaland in 2000. The North East Agri-Expo at Dimapur in 2006. The Rice Festival in 2007. The first World Bamboo day celebration of the World Bamboo Congress at Kohima where the Vice President of India was the Chief guest. The third Sustainable Mountain Development Summit at Kohima organised under the aegis of the Indian Mountain Initiative. President of the Nagaland Badminton Association from 1989 to 1999. President of the Nagaland Taekwondo Association from 1998 till date. Chaired the Platinum Jubilee celebrations of the NBCC (Nagaland Baptist Churches Council) as Chairman Planning Committee. Among the Founding Members and was President of the IMI (Integrated Mountain Initiative). Founder and Advisor of the SDFN (Sustainable Development Forum of Nagaland).